Edith Rachel Merritt Seville Schaeffer, wife of Francis August Schaeffer, co-founder of L’Abri Fellowship and of the Francis A. Schaeffer Foundation, died March 30, 2013, at her chalet home in Gryon, Switzerland. She was born Nov. 3, 1914, in Wenchau, China, and was the third daughter of Dr. George Hugh Seville and Jessie Maude (Merritt) Seville, who served with the China Inland Mission, founded by Hudson Taylor. A funeral service for Mrs. Schaeffer was held Thursday, April 25, 2013, in St. Paul, Minnesota, at the First Covenant Church of St. Paul. Son-in-law Rev. Udo Middelmann, president of the Gryon-based Francis A. Schaeffer Foundation, delivered a three-part discourse (each part separated by music) that honored and remembered Edith Schaeffer, examined how she was able to achieve a “wider view of God’s world,” and explained how the affirmation “I will fear no evil,” including the abnormality and evil of death, is rooted in truth about reality and not in a subjective desire to find personal comfort. Our heavenly Father, Lord of the universe, our living and true God, we worship you for we know from your word how concerned you are to repair the damaged creation. How you ran after Adam to fix things, how the prophets came . . . , how your Son came to sacrifice his life for us so that our moral guilt before you will be forgiven and that one day he will return to make all things whole. And the lion and the lamb will lie down together. And then your people will not only be in your presence in spirit but as you created them -– body, mind, and soul. Thank you, Father, that when faced with tragedy of death itself, as such, and not as a part of nature, but as a real wound of what sin has created and the mess we have made . . . . you have always faithfully followed us, corrected us, and made the promise to restore us. We thank you, Father . . . as we consider your word and the creativity of human beings that honor you with their fingers, their hands, their voices, their hearts and minds. We pray, Father, that it will all be to your glory and to our wonder. And we ask it in Jesus’ name. Amen. Middelmann’s triptych set of remarks were framed by musical interludes featuring performances by pianist Vlamidir Horowitz playing Schumann (on CD) and classical guitarist Christopher Parkening playing Bach (on USB stick), both of whom Edith had met. New York City soloists Lauren Eberwein (mezzo-soprano) and Joe Chappel (bass) contributed selections from Mozart and Bach. Dr. Lloyd Davies on piano performed Schumann’s “Traeumerei,” (op. 15, nr. 7). A powerful rendition of Bach’s “Toccata and Fugue in D Minor” communicated the wonder of human creativity, the awesome abnormality of death, and the unending significance of a life that revolts against death and decay on behalf of beauty, truth, and love. After the funeral service, the body of Mrs. Schaeffer was laid to rest alongside that of husband “Fran” during a gravesite ceremony at Oakwood Cemetery, some 79 miles south in Rochester, Minnesota. Francis Schaeffer died May 15, 1984, after contracting cancer, first diagnosed in 1978. The Schaeffers moved to Rochester and opened a branch of L’Abri Fellowship after Francis sought medical care at the Mayo Clinic. In 1988, four years after the death of her husband, Edith asked Udo and Debby Middelmann to join with her in starting the Francis A. Schaeffer Foundation. At the Schaeffer gravesite is an apple tree planted when Francis Schaeffer was buried, some 29 years ago. The purpose of the tree, Middelmann explained, is to provide a place where birds might come to rest and where people might have something to eat. The tree is a reminder, to this observer, of the Schaeffers’ life-long appreciation of creation and their practice of providing hospitality to those who draw near. It is their continued revolt on behalf of intelligence, love, and beauty against the ugliness and finality, but not ultimate finality, of death. Middelmann concluded his remarks by inviting those in attendance to participate in Edith’s burial. Many of us have seen on film where family and friends of the bereaved toss handfuls of dirt upon a coffin in a grave. On this occasion, we were invited to take a shovelful of earth and pour it upon the casket. It was an honor to pay respects in this way. Those of us who have benefitted from the life and creativity of Edith Schaeffer were thereby able to participate in her burial, with the promise of enjoying a new life to come on the day of a future resurrection. That resurrection challenges materialistic beliefs, but it accords with the facts of history and affirms the only known understanding of life that adequately undergirds the significance and dignity of man. Hands that helped bury the body of Edith Schaeffer will clap with joy on that future day. Edith Schaeffer wrote 17 books, the first of which is L’Abri, published in 1969. The book recounts how L’Abri was begun, not as a work of blind faith in an imaginary sky god but rather as a reasonable demonstration that an objective God who is a personal being actually exists, answers prayer, acts into verifiable history, and has communicated to human beings in ways that are testable and understandable in normal human language. When I traveled to Swiss L’Abri as a 21-year-old, Francis and Edith Schaeffer and the work of L’Abri represented hope and, for many searching people, a last hope regarding the viability of Christianity. It was a hope I was ready to reject if it was fake or worked only in books. I was looking for something real, not something perfect. In the formation of L’Abri, Edith and her husband created a setting that began to recover the Biblical insistence that people matter, ideas matter, creativity matters, and truth matters -– not as a private experience in a church building or prayer closet but as normative and factual information that is publicly actionable and applies across the whole of life. In a time when the secularized culture was fragmenting meaning and monopolizing power, and when Bible-affirming churches feared questions and avoided the Creator’s insistence on real-world applications, Edith Schaeffer and her husband challenged the status quo and said there is a better way, a more Biblical way, a more humane way. Her writings, speaking, and living declare that a renewal of humanity really is possible when based on the verifiable work, life, death, and resurrection of Jesus of Nazareth in space and time. What is affirmed is not a religious belief system or personal values choice, but rather a comprehensive and liberating framework of truth regarding the real world. “What most impressed me in knowing Edith when I was a student at L’Abri was her emphasis on everyday beauty,” says Nancy Pearcey, who is director of the Francis Schaeffer Center for Worldview and Culture at Houston Baptist University and who lived with Debby and Udo Middelmann while studying at L’Abri. “Arriving as a critical agnostic, I was surprised to meet Christians who actually cared about the world of ideas and the arts. It was not merely that Francis Schaeffer lectured about the arts, however. It was also that Edith thought it important for the Christian to incorporate beauty into all of life — such as simple but elegant table settings with a wildflower and a candle. Not expensive items, not conspicuous consumption. But creative (expressing your unique personality) and natural (using items and themes from nature when possible). Fran and Edith now are now side by side again, under the simplicity and wonder of an apple tree. Yes, evil is strong, but it is a lost cause. For in the total reality, the God of life creates and works and plays and resists. And wins. There are apples to eat after you die. 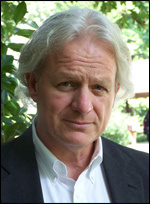 J. Richard Pearcey is associate director of the Francis Schaeffer Center for Worldview and Culture at Houston Baptist University. He is also scholar for worldview studies at HBU, as well as editor and publisher of The Pearcey Report. « Is Christianity a Spectator Sport?